The PF-technique aka BRF-Tek (brown rice flour technique) is a method developed by hobby mushroom cultivators for growing mushrooms in the simplest way. 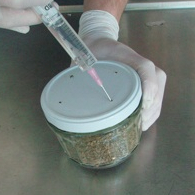 This is another very simple method of mushroom cultivation for hobby-mycologists. 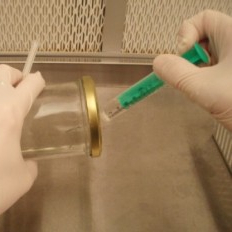 Spore syringes contain spores dissolved in water and are used to inoculate substrates.